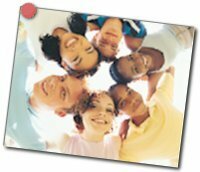 Fully Accredited: the programs and schools advocated by TeenPaths.org are not the least expensive, but they do provide the most value for struggling teens and their families. They are fully qualified accredited programs that have been in existence for more than 20 years. Accreditation is granted by the governing Associations of Schools, Colleges and Universities. Additionally, schools are secure and staffed well 24 hours per day for the safety of the kids. Cost varies from school to school and in accordance with specific needs of the student. Higher Education: more than 80 % of the graduates of these programs go on to attend some of the best universities and professional schools in the country. That says a great deal in itself considering that many of the kids in attendance had been proceeding down a dangerous path toward almost certain failure. Scholarships & Loan Assistance Contact: your personal admissions counselor, Dina Dalton will be very helpful in going over financing options, payment plans, and possible utilization of medical insurance. Our Programs are unique in that they offer in-house financing of tuition for parents and loans may be approved within 1 hour of application. This makes sending your child very affordable and depending on credit score, monthly payments will be from $400 to $800 per month. Further information is best obtained through admissions counselor, Dina Dalton or her staff (1.800.429.5922 - mention that you were referred by Teenpaths for priority service). Again, these loans may be processed in as little as 1 hour and makes the programs feasible and very affordable for most families. Partial scholarships are available at select schools.